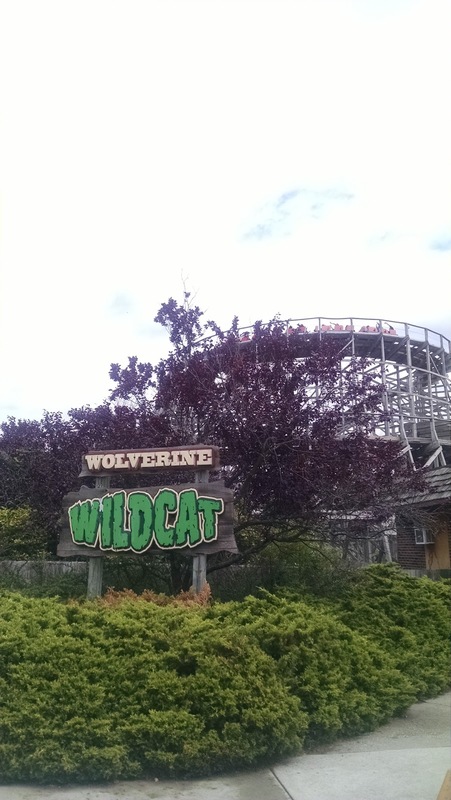 Wolverine Wildcat was the second ride we rode at Michigan's Adventure. 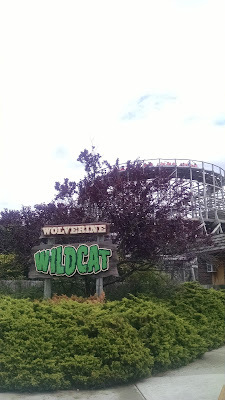 This is the park's original wooden coaster. Yes, I rode another wooden coaster second, and it was a bad decision. It was very bumpy. There is an early tunnel but otherwise the ride is not very interesting. It is a short ride but they were only running one train when we were here. The ride from the point of view from the front car can be found here. We don't take videos or photos when we ride so all the links to videos will be from other people. See all of our Michigan's Adventure experience here.